By Peter Anderson 9 Comments - The content of this website often contains affiliate links and I may be compensated if you buy through those links (at no cost to you!). Learn more about how we make money. Last edited October 30, 2008 . The transmission on my old car decided that it no longer wants to continue shifting as it should. After getting several repair estimates, we found that to fix the car would cost us over $2500 in repairs, along with another $1000 or more in other needed repairs in the near future. We decided that we just didn't want to pump that much money into a car that wasn't worth much more than $2500. So now we're looking around to find a good, reliable used car that will last us another 5 years and around 100,000 miles. I haven't bought a car in about 5 years, so I had forgotten what an ordeal it can be, and how many things you need to remember. 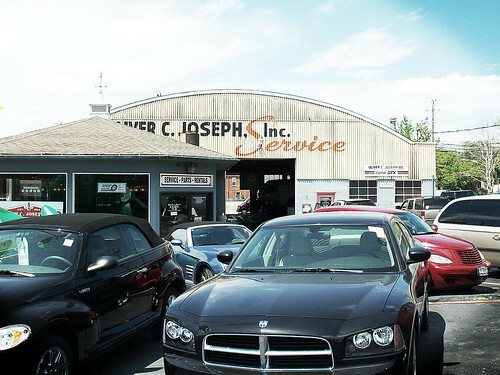 Here's a list of some things that are important to remember when looking for a used car. Use the power of the internet: With the advent of the internet the consumer has a whole new sense of empowerment when it comes to car shopping. Using the internet you can shop around for a good price and play dealers against each other. Doing this is a whole lot easier than it used to be. 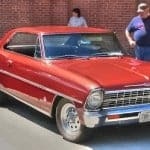 Use online automotive websites like carsoup.com, autotrader.com or cars.com to narrow the field of possible cars, and then get price quotes from dealers that you can compare. Let the dealers know when you've found a better deal, they may match it, or even beat it! (Dealers hate Internet customers because they usually are well informed, and end up getting a better deal). Also, use the internet to research your next vehicle through information sites like Edmunds.com where they have exhaustive reviews, customer feedback and true cost to own stats for all makes and models. Used cars have a history: Make sure that you always check a vehicle's history report before even doing a test drive. 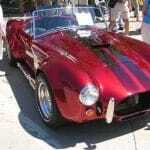 For a fee you can do unlimited vehicle history reports through services like Carfax.com or Autocheck.com. All used cars have a history, and for some cars their history is more colorful than others. For example, when I was searching for a car this time I found what I thought was an extraordinary deal on a used car with low miles and a great price. After doing a history report on the vehicle I discovered that the vehicle had a salvage title and had been in an accident. Big time red flags! Some of the things you can tell on a history report include accident history, odometer readings (to make sure there hasn't been an odometer rollback), whether or not the vehicle has a clear title, ownership history (including whether it was a rental car or a taxi) and a variety of other things. Vehicle history reports are a must have for any used car shopper! Check for signs of tell-tale vehicle damage: Even some vehicles that have a clean history report may have some hidden damage that was never reported, and thus doesn't appear on the vehicle's history. Because of that you will want to make sure that you inspect the car carefully to make sure it is sound. Carmax has an article about how to find some tell-tale signs that the car has been repaired. Signs include: vehicle has been repainted, clamp marks on the frame, welding marks and body filler, engine noise, misalignment of hood, doors or trunk, checking bolts to see if they've been removed. Check the article for more ways to determine if the car has been repaired. 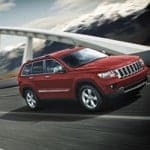 Make sure to take a vehicle for a test drive: In the internet age, you'd be surprised at how many people are now buying vehicles before even taking them for a test drive. (Ebay anyone?) A test drive can be invaluable because it allows you to see the car in action, hear any noises the car may make, and feel how the car performs under normal road conditions.I just test-drove what I thought was a great steal of a car last night, and the brakes turned out to be bad, there were stains on the seats and the car's shocks were shot. All of these things I found out on the test drive. Some things to check when you do a test drive include the interior of the car (check for excessive wear), the tires and brakes, the shocks (press down on the car and see if it bounces back quickly without too much bouncing), steering and acceleration without too much noise, and just listen for foreign sounds. If your gut tells you something isn't right with a car, pass on it. Pay for a vehicle inspection by your mechanic: If you really want to make sure that a car is mechanically sound before you buy, take it to a trusted local mechanic who can tell you if the car is in good working order or not. Our local mechanic does a thorough inspection for about $30, but it is well worth the cost. I would especially suggest doing this if you are buying a car from a private party or buying a car without any kind of warranty (which most used cars don't have). Don't play the “monthly payment game”: When you're at the dealer don't fall prey to the “monthly payment game”. This happens when the dealer asks at what price range you'd like to keep your monthly payments. When you respond with “under $400” or the like, that gives the dealer free reign to put you in a more expensive car or give you a longer finance deal – all in the name of reaching that magical monthly payment number. Instead of playing that game, decide on how much you're willing to pay, and stick to that number no matter what. Tell them something like: “I want to keep the purchase price under $9,000” and don't respond to their talks of monthly payments. That way you can ensure you don't end up paying more than you thought you would, just because you wanted a certain payment. Figure it out on your own beforehand – and stick to your guns. Bring your own financing to the dealer: One of the biggest ways car dealerships can make a good deal turn sour is by padding the deal for your car with back-end fees in the finance office. All of that can be avoided if you just get your financing ahead of time through your local bank or credit union. Or even better, save up for your used car purchase as suggested by Dave Ramsey in Financial Peace University – and pay cash! That's what we'll be doing! Read my previous article about driving free cars and retiring rich – where I talk about just that – saving for your next used car. Make sure the car is insured: Make sure to call your insurance company and check rates for the cars you're looking at, and inform them once you do buy a new car. Don't let the insurance lapse! Check insurance rates with other companies when you buy a new car, it may be as good a time as any to save some money on your insurance rates. So what is your used car buying tip? Have a good or a bad experience buying a used car? Leave us a comment here and tell us about it! Last Edited: 30th October 2008 The content of biblemoneymatters.com is for general information purposes only and does not constitute professional advice. Visitors to biblemoneymatters.com should not act upon the content or information without first seeking appropriate professional advice. In accordance with the latest FTC guidelines, we declare that we have a financial relationship with every company mentioned on this site. Great post! Our car is showing signs of sickness after seven years. We’re thinking we may need to get another one (we’ll buy it used, though — we like lease returns). But we’re crossing our fingers that it won’t come to that. So my last car was brand new 1996 Toyota Camry. I babied it for 11 yrs. Had to replace the transmission twice in the later years. Well in 2007 it was totaled (hit and run). So for the last year I’ve been borrowing my mom’s 1996 Jeep while I decide on what car to buy. I have the money saved up ($20K). But I’m thinking I do not want to spend that much on a used car. Now I’m thinking ($15K and under for a 2006 or newer car. So I have been checking craigslist, autotrader over the last year. And I’m sure I’ve missed out on some great deals. Just earlier this week I saw an ad on craigslist from a private owner selling a 2006 Accord SE for $12,500. I had planned to contact the owner the next day. Well the ad was gone that quick. So I have to keep looking and hoping. Thanks for the added advice. When checking out a used car make sure you check the VIN tags all over the car. Make sure they are there and then make sure they match. If they are missing or are covered up or don’t match then there were repairs to the car. This may not be a bad thing if the repairs were done correctly but it’s something to look out for especially if the owner doesn’t mention the repairs. FFBs last blog post..What Are Your Kids Gift Expectations? Don’t forget to run the car by your insurance company as well before you buy. Aside from just wanting to know what your new premium cost is going to be, some cars have a higher cost on insurance because they are more likely to get stolen. Great advice here all around. We bought our first used car a few months ago, but it was from a relative. And we’re truly happy about the money we saved! Great article Peter but even better than letting the dealer know when you found a better deal is to find the best deal before ever visiting a dealership that way you truly have the leverage. I use http://www.edmunds.com and http://www.truecar.com and was able to save thousands off the cost of my last car. But good luck to everyone and don’t get pressured into paying more for a car than you can afford. What you said about people that buy vehicles before taking them for a test drive is really interesting. Personally, the test drive is one of my favorite parts of searching for a new car. Like you said, you see the car in action this way. It’s a great way to analyze the car, as well as being able to drive around in a different car. That experience is fun and important.